Have You Been To Salford Shopping Centre, Have You Seen Argos? But it was only the second best tune of the weekend. Intrigued one turned to the Interwebs to find out more…. She even persuaded the likes of B B King, Muhammad Ali and Roland Kirk to visit the school and talk to the children. They produced enough songs to record a whole album which they called Ghetto Reality. Encountering Moses Asch she badgered him into releasing the album on his Folkways Records label. She was eventually sacked from the teaching job, ostensibly for refusing to wear the required high heels, and was alarmed to see the school call the police to remove the children protesting about her departure. She subsequently worked in various jobs, made recordings of her poetry, associated with the Black Panthers, wrote a play and died of leukaemia at the age of 44. A recent Kickstarter project raised over a million dollars to help finance a documentary about Frank Zappa and preserve his archive of works (known as The Vault). From Cage and Varèse to Tuvan throat singers to Reggae to Doo Wop he was fascinated by it all. He was one of the first to own a Synclavier but was frustrated by its limitations – things that today one can achieve on even a modest laptop computer. And then there is the strange case of people buying vinyl records although they do not own any means to actually play them. 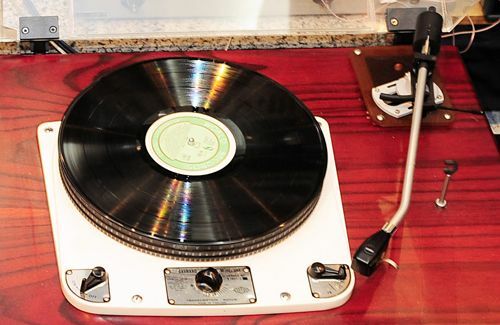 Conversely many years ago (early to mid 1970’s) I purchased a secondhand Garrard 301 from someone locally and he had an impressively large and expensive HiFi system but only owned three records. Where as once one could spend a lot of time and money finding the obscure records of choice today we can access most music for very little money and hardly any effort. As wonderful as such streaming services are it can be a little disconcerting to have Apple Music stream a pristine digital version of an old record when you are anticipating the old snap crackle and pop dubbed from vinyl one in your library. Who does not love visiting old posts? I know I do.